Northamptonshire County Council is the only local authority in the county which will be allowed to raise council tax by five per cent. 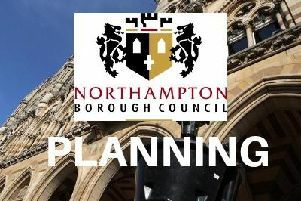 An unprecedented five per cent council tax rise could be headed for Northamptonshire residents after the Government announced the extraordinary measure today to help get the county council out of its financial difficulties. Northamptonshire taxpayers could be asked to hand over more of their cash if the Conservative-led administration at the county council decides to use the new flexibility granted by Secretary of State James Brokenshire in his local government finance settlement. The council will be the only one in the country that will be allowed to raise its council tax to five per cent without a referendum. The news has been welcomed by council leader Matt Golby, who learned of the decision this afternoon. He said: “We welcome the news from the Secretary of State which gives us the ability to increase council tax by a further two per cent over and above the three per cent limit. Paul Crofts, a member of campaign group Save Northants Services, said the situation in Northamptonshire was ‘lurching from one disaster to the next’. He said: “Local taxpayers are paying time and time again for the problems at Northamptonshire county Council. Today’s announcement follows the Government deciding in November to allow the troubled local authority to use £70m of capital receipts, largely gained from the sale of its Northampton headquarters One Angel Square, to pay off last year’s £35m financial deficit. Some money has also gone into the depleted reserves account. Latest finance reports say that the county authority is predicting an overspend of £11m in the 2018/19 financial year. It is still unknown whether the £8m collection tax collection plan devised by the two Government-appointed commissioners overseeing the council will work. The districts and boroughs have raised legal concerns about the handover. The authority says it has a plan B if they can’t gain this money but is remaining tight lighted on the details of the plan.